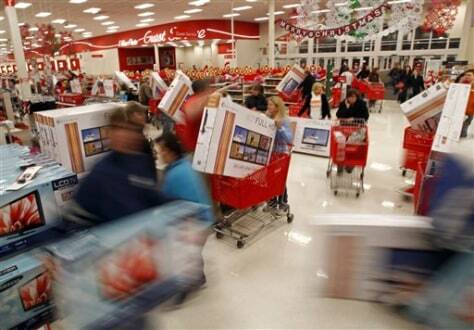 Shoppers grab televisions at a store in Knoxville, Tenn., minutes after it opened on Nov. 25. Plenty of Americans are having to hold back this year as the lure of flashy ads, tempting bargains and family expectations clashes with the realities of the economy. Experts in consumer behavior say that situation can strain the brain.